Benjamin (Benny) Dale Mitton, 66, of the Glades passed away Friday, March 15, 2019 at home with his beloved dog Boozer at his side. Born at the family home, the Glades, he was a son of the late Harry and Doreen (Casey) Mitton. 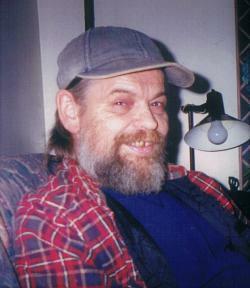 A woodsworker, Benny loved the outdoors especially hunting and fishing. Survived by his brothers Harry (Madeline) and David (Joanne); his sister Shelly (Kirk) and by several nieces, nephews and friends. Predeceased by his brother Leonard (Sam) and sisters Linda Killam and infant Susan. A private family service will be held later in the spring. Arrangements are in the care of Salisbury Funeral Home (372-4800). If desired, memorials to the Canadian Cancer Society would be appreciated by the family.